Announcing the 2015 Honeymoon Contest Winner! We had a great response to our first Honeymoon Photo Contest. Thanks to each of you who submitted a photo of yourself and your spouse enjoying the Canadian Mountain Parks. The winner was selected through a random draw and we’d like to congratulate. . .Tara Fillion! 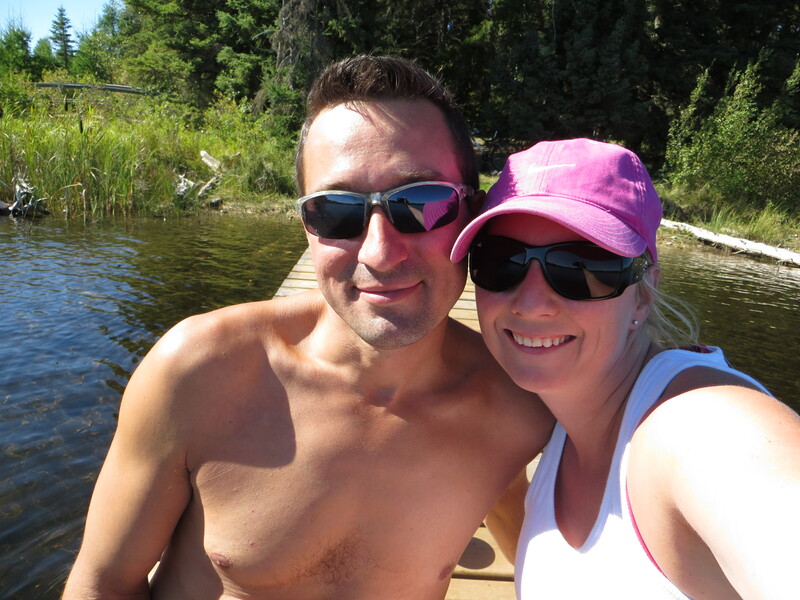 She submitted the photo below of her and her husband in Riding Mountain National Forest. As their prize, Tara and her hubby will receive a train trip on The Canadian between Jasper/ Edmonton to Vancouver and back. They’ll ride in a Sleeper Plus Cabin for Two, enjoy all meals in the Dining Car, and also have access to all the lounge areas and glass dome viewing carriages. Once they arrive in Jasper, they’ll enjoy accommodation at the luxurious Fairmont Jasper Park Lodge. Thanks again to all of our contestants who entered!